The key story of the moment is the beginning of the Fed’s tightening cycle, a topic on which Morgan Stanley analysts recently dedicated a major report. In it, the company explored the historical connection between cheap money. As you would expect, the market likes it. A lot. 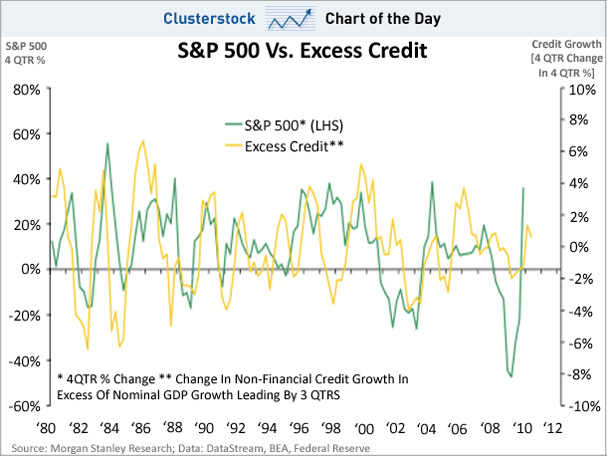 As the below chart shows, the S&P 500 has been nicely correlated with excess credit growth — or the change in non-financial credit. This latest rally was no exception. 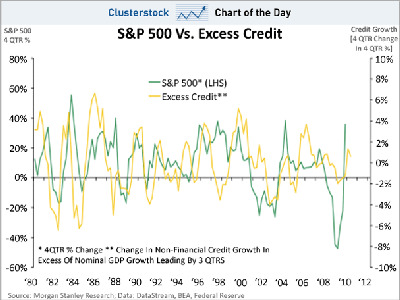 When the Fed does close the spigot, watch out below.